In my last post, we looked at how the cost, reliability and quality of electricity can present significant risks to your business if they are not managed. Whether you’re operating commercial buildings, manufacturing plants, healthcare facilities, or data centers, it’s important to understand that lowering your electricity bills is more complicated than just trying to use less energy. The key for optimizing your electrical energy costs is to operate your facilities with a clear understanding of how your utility charges you for electricity, so that you use power in the right way at the right time. It’s also easy to appreciate how power interruptions and poor power quality can have a serious negative impact on your operations – potentially costing your business significantly. So, it’s quite surprising that so many corporations do not invest in managing these risks the way they do other business risks. For those companies who recognize the need to minimize these risks, the good news is there are proven ways to manage them. In this post I’ll describe how an Energy and Power Management System (EPMS) is designed to help you optimize the cost, reliability and quality of your electrical power which ultimately lowers your business risk exposure. 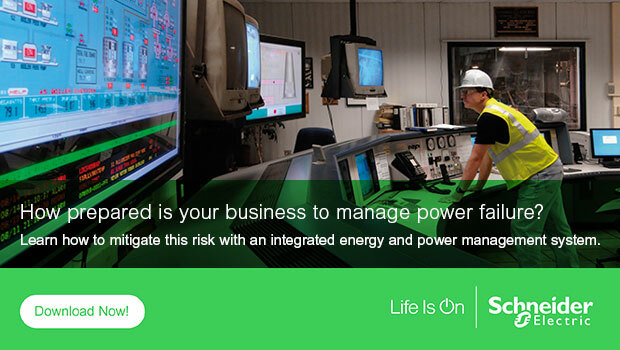 Only an EPMS can tackle the specialized nature of electricity. An EPMS is comprised of smart power quality monitoring devices and power management software designed specifically for optimizing energy usage and cost, and continually monitors the reliability of the electrical distribution system and the quality of power it delivers to its equipment and critical loads. Generic devices and software, even building management and process automation systems, are not designed for this. They are not able to acquire key power quality data from advanced power meters such as high resolution, time-stamped power quality events, nor do they provide the specialized software visualization tools necessary to conduct power event forensics, power quality compliance monitoring or utility bill verification. Many companies claim to provide comprehensive energy management solutions, but just how comprehensive? Most only address energy consumption, offering basic solutions for tracking and reporting on energy usage, but very few provide comprehensive ways to help mitigate the risks associated with power and equipment reliability and allow you to audit your utility for power quality compliance or billing mistakes. For example, if you’re tracking electricity costs for an automotive painting facility, you may find that installing high efficiency drying lamps a sensible cost-cutting measure. However, those lamps may generate excessive harmonic currents on the neutral conductor of your power distribution system – risking equipment failure, fire, and a plant-wide shut down. It’s not enough to track and analyze energy consumption and costs. Impacts on power quality and reliability also need to be taken into account to determine the full operational and financial impacts of major upgrades or other changes to infrastructure or processes. To capture and deliver the data needed to ensure optimal performance of your electrical distribution system and the assets connected to it, metering devices must be installed in key locations throughout the entire electrical distribution system. Choosing the right metering device for each metering point is important. And there are many options in all shapes and sizes. In addition to the multitude of electrical power meters available on the market, most circuit breaker manufacturers also offer embedded metering options as well. Choose wisely, because once you select your devices, you will be depending on them for many years to come. It is often far too disruptive and costly to change out power metering equipment early in its life span. So how do you choose what metering products to use in each location? While there are many factors to consider, the key driver for effective power meter selection all starts with the EPMS software that you are going to use and the power management applications that you need and wish to invest in. Once this is established, the process of selecting power metering products becomes more focused and effective. Advanced applications like Power Quality Monitoring and Power Event Analysis require advanced power quality meters, while basic applications such as Energy Usage Analysis only need basic power metering devices. For this reason, start with the most advanced applications first and determine where you will need advanced power quality metering devices. But remember: metering capabilities are just prerequisites for any power management application – it is EPMS software that turns energy and power quality data into actionable information via specialized visualization and analysis tools. As a general rule the best way to ensure cost effective, reliable and consistent EPMS system performance is to build your EPMS system based on a single vendor’s specification. Having a mixture of power meters from different vendors creates more challenging implementation and will cost more to support in the long run. Also specialized, high speed power quality data – such as millisecond timestamped voltage disturbance events data or 3 phase electrical waveform captures – cannot be uploaded and utilized easily across different vendor software platforms. As you can see, an EPMS does much more than collect data from power metering devices. It uses a rich set of visualization, analysis and reporting tools to provide actionable information for a variety of energy and power management applications. It is this actionable information within the context of these applications that allows companies to minimize their business risk associated with power reliability and the cost of energy. Is it worth investing in an EPMS? What is the payback? First of all, an EPMS will help raise energy awareness, which leads to improved energy efficiency and lower utility bills. Not including energy conservation measures (ECMs) such as equipment upgrades and retrofits, an EPMS can easily yield an additional 3-6% reduction on energy spend due to improved energy awareness amongst employees, mostly coming from energy waste avoidance. An EPMS also lets you check every utility bill for mistakes. There are several causes and categories of billing errors; and they happen regularly and can be significant. You may be overpaying without knowing it, so don’t let your organization pay these bills blindly without checking them first. Besides energy cost savings, an EPMS also helps improve operational efficiency by automating and centralizing many power management functions from meter readings and equipment diagnosis to power source management and power restoration. For example, during regular planned maintenance activities, it is common to de-energize specific circuits, so staff or contractors can work safely on equipment. And when the power needs to be restored, it is the EPMS that is used to ensure that the circuits and the associated equipment is brought online in a safe and efficient manner. The bottom line is that companies invest in an EPMS is to minimize their business risk associated with power disruptions and unplanned downtime due to capacity issues or power quality problems. In power critical facilities such as data centers, hospitals, airports and manufacturing facilities, a loss of power is more than a nuisance – it represents a significant financial risk and can even be responsible for loss of life. For these kinds of facilities, an EPMS is not just about having risk mitigation insurance in place, it is a business-essential system that is used by facility and operations teams every day to run the facility. But even if you don’t consider your business operations to be dependent on reliable power and you have never experienced downtime due to a power related issue, the energy cost savings and operational efficiency benefits are still well worth the investment. If you don’t have an EPMS or you don’t fully utilize your EPMS, then you are likely losing out. To learn more about this subject, refer to our white paper ‘Mitigating risk using power management systems’. Also make sure to discover Schneider Electric EcoStruxure™ Power Monitoring Expert software, one of the foundations of our power management solution.